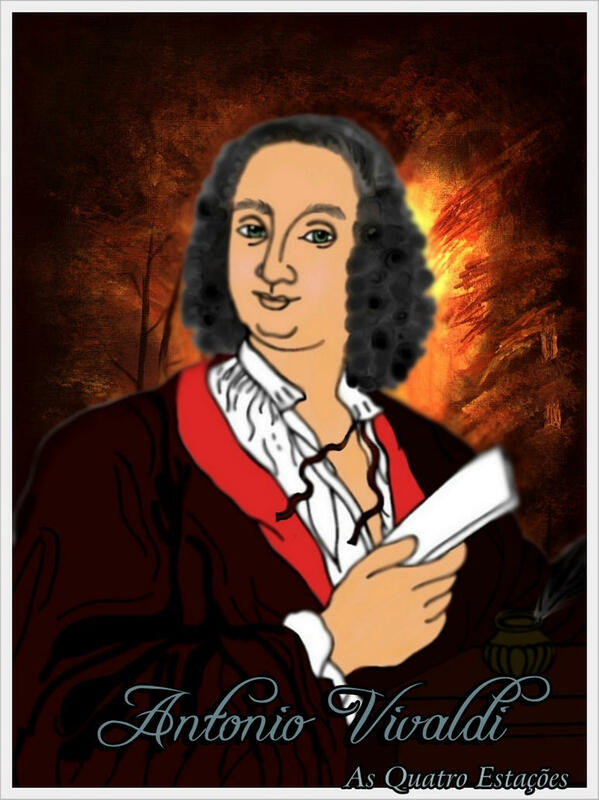 I'm in preparation for the longest writing project of my life, a senior thesis on the Republic of Venice. I've got a lot more reading and research to do, but while I've got a moment of free time, I like to search for goofy drawings on deviantART, which is basically a site for amateur manga art, which means it has a ton of weird stuff. 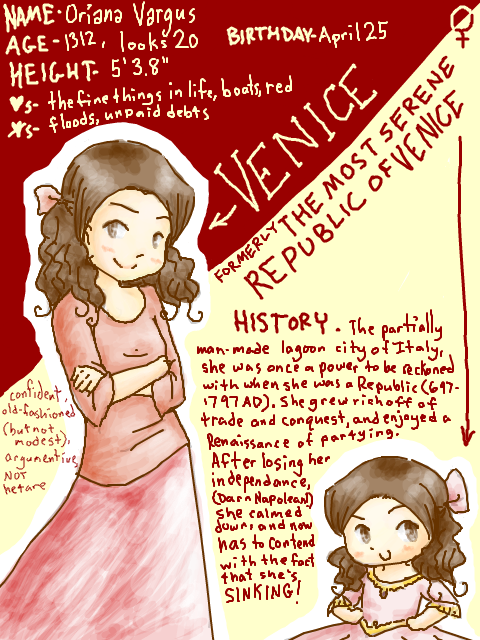 It never disappoints me no matter what I search for, so here's some weird fan illustrations and stuff related to the Republic of Venice, a mercantile European power that managed to cling to life from the very beginnings of the medieval period until the age of Napoleon. Enjoy. An Italian "My Little Pony: Friendship is Magic" fan took the Venetian flag and replaced the Lion of St. Mark with Princess Celestia from the show. The top comment on the deviantART page reads (translated from Italian): "Aha! But let's just hope there's no lockout in the Venetian Great Council over this!" Nah, I'm sure they wouldn't have minded changing the patron saint to Saint Lauren Faust, dude. 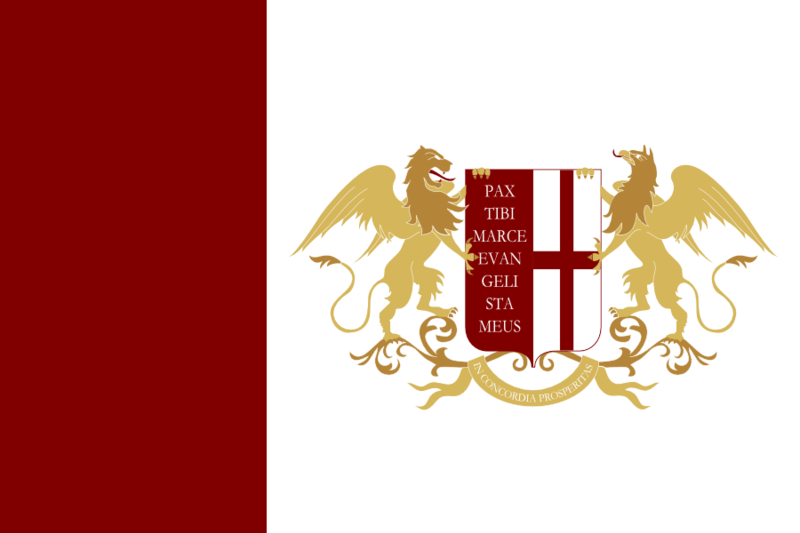 Somebody made a flag for a hypothetical Most Serene Republic of Venice-Genoa. The two republics were worst enemies, so this is kind of like making a logo for a hypothetical New York-Boston Yankee Sox baseball team, but otherwise, it's sort of an okay flag, I guess. "Pax tibi Marce Evanglista meus" means "Peace to you, Mark, my evangelist," referring to the patron saint of Venice, and the right half of the crest basically resembles the standard Genoese crest, the cross of St. George. The flag of England looks exactly the same because it is also simply St. George's Cross. Some sort of role-playing character introduction, I dunno, but it's basically if La Serenissima was a manga character. Neat? An early sketch of the same thing, by the same person. "You got the money?" won me over. In the Renaissance comedy theatre form, Commedia dell'Arte, Venetians was represented by an old retired merchant character named Pantalone (the origin of the word "pants," it's a long story), but I guess a little girl works, too? 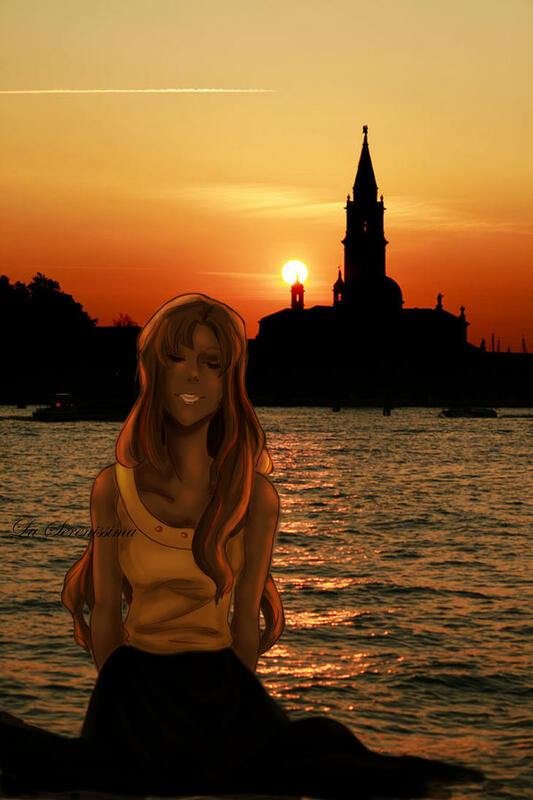 A different person's personal character drawing based on the Republic of Venice. Again, this picture sports the hilarious combination of kind-of obscure history research and juvenile 13 year-old girl comments 'n' stuff. It's got the right patron saints, the right hat style, and, well, a gondola, so pretty accurate for a weird drawing thing! 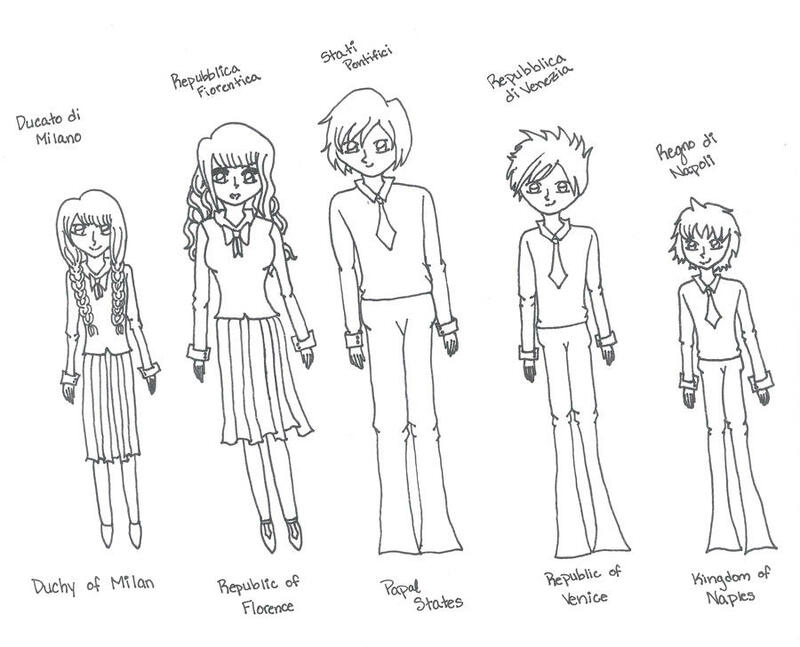 So why are people drawing characters based on Renaissance states, again? It's not incredibly clear, but this is the same character as the illustration above. 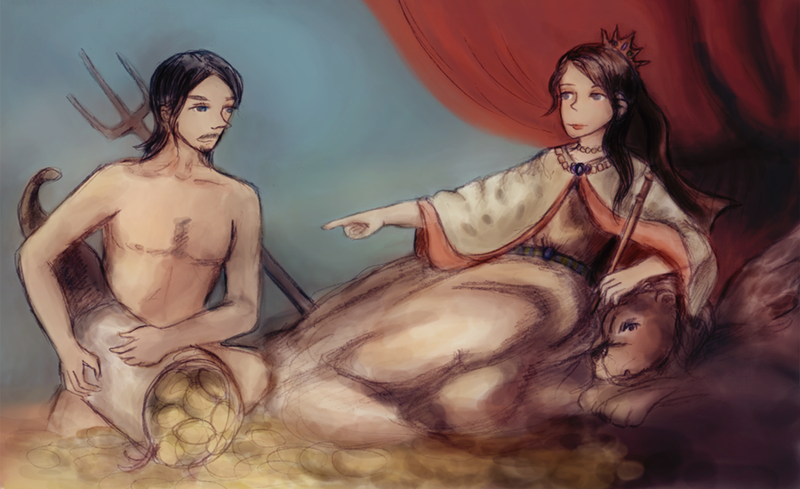 It's a remake of this actual painting, with Neptune (left) and Venice (right) made younger. Johnny Depptune is pretty hilarious-looking. And here's another one? Oh, now I see. 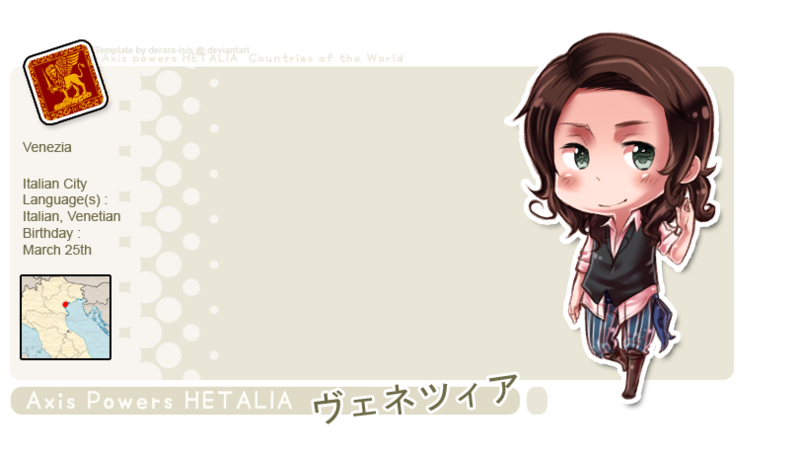 Hetalia: Axis Powers is a manga/anime series in which various countries that fought in World War II are all represented by a character. Fascist Italy is the lovable loser, of course. So I guess fans like to add their own characters for every other historical entity ever. 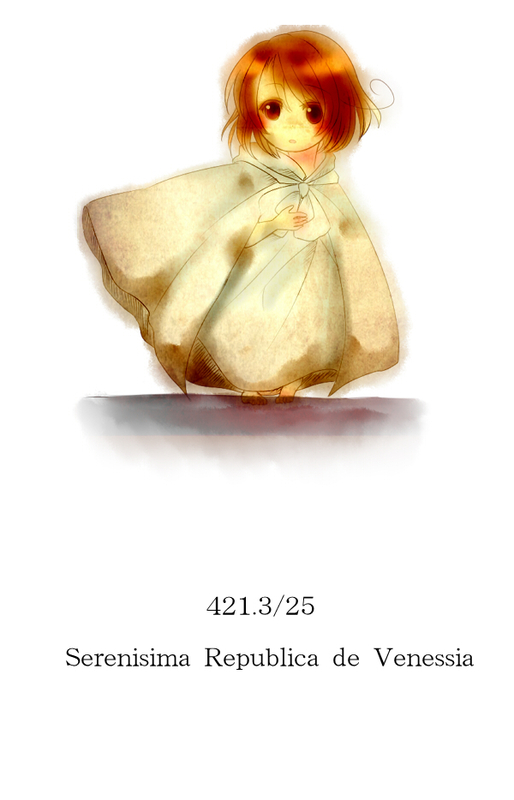 Anyway, what's cool about this particular fan art is that it actually gets the traditional birth date of the Republic of Venice right, March 25th! What the hell kids, don't do that much research just to make one drawing! This one isn't for some weird role-play thing, the artist insists on the deviantART page for this illustration. It's for his AP European History notes. Hard for me to tell what the bell-bottoms and spiky hair on Venice represent here, but I hope it helped the artist remember stuff. 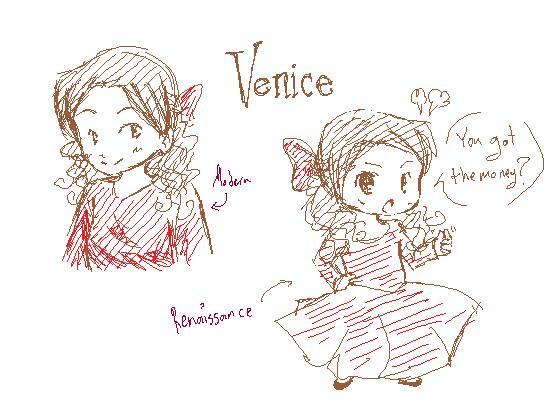 ...so here's another Republic of Venice original character! Again, they actually got the birthday right. What exactly is going on here, internet? This isn't as interesting a picture as the other ones, but I needed to include it to illustrate that there are even more different people who have developed their own character to embody the spirit of the Republic of Venice. This one's called Serena, playing off of "Serenissima." 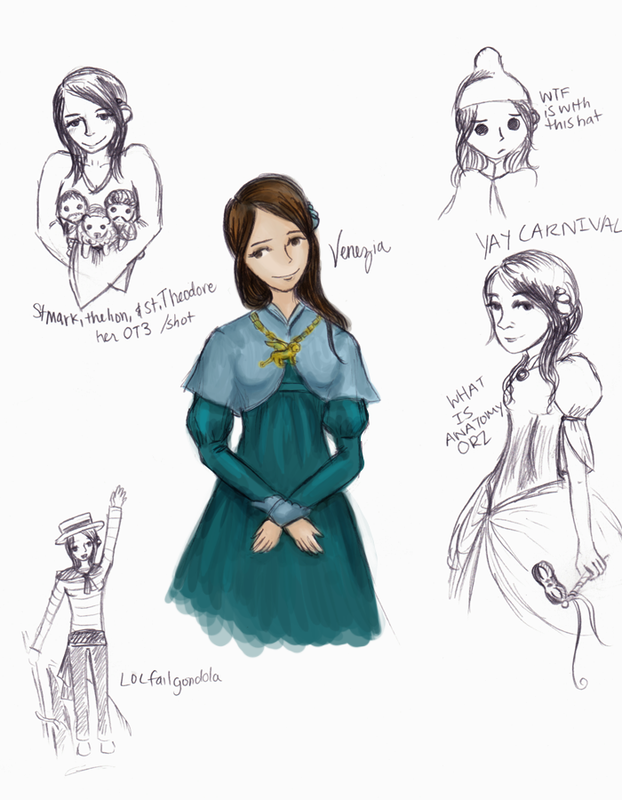 Vivaldi fan art, 'cause why not? Looks like a color-by-numbers with finger-painted hair. 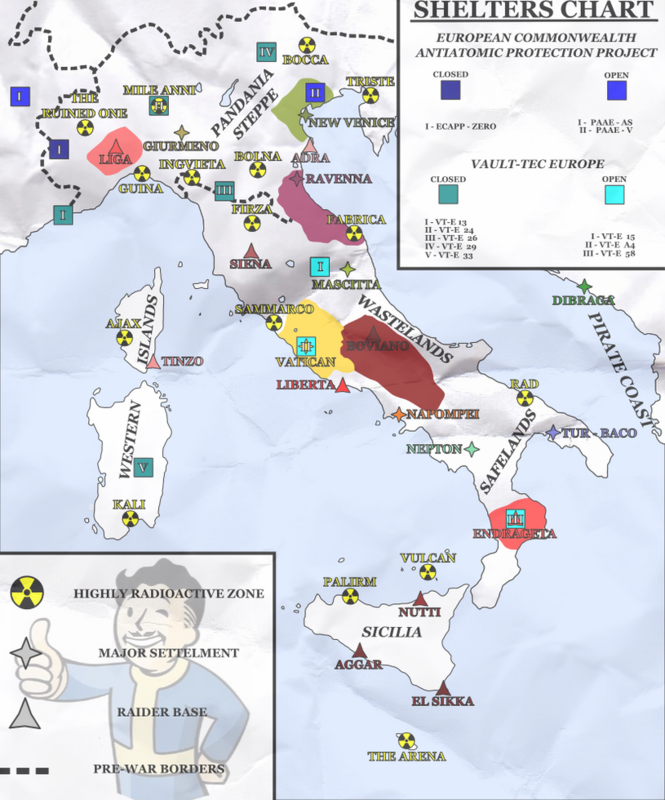 This is barely related, but it's a map of fallout shelters in 2205 AD Italy set within the "Fallout" video game universe. This is just like something I would've wanted to make when I was younger. Also the artist put a mustache on the Fallout guy and darkened his hair to make him Italian, hilarious.